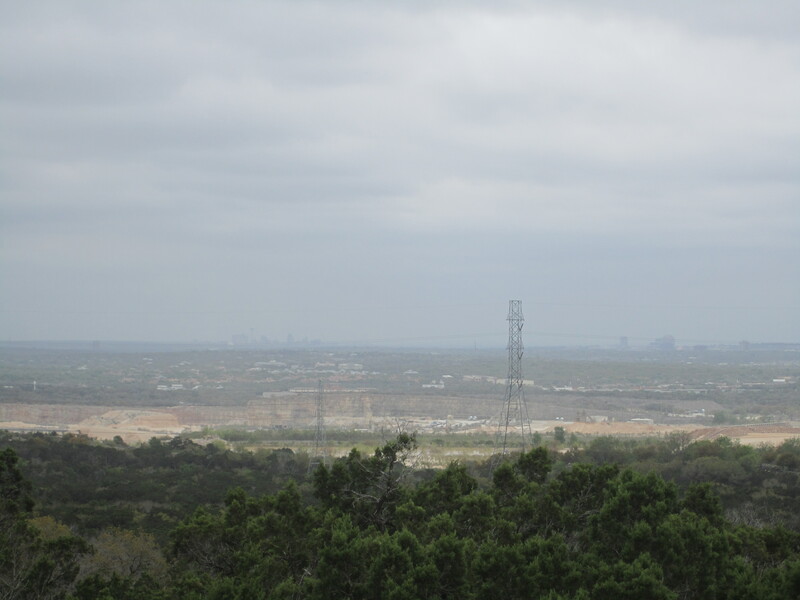 I am now back from a spring break sojourn to the Lone Star State, and I did get out and walk around a bit. After a few days of touristing, I really wanted to get out of the city and go for a hike. 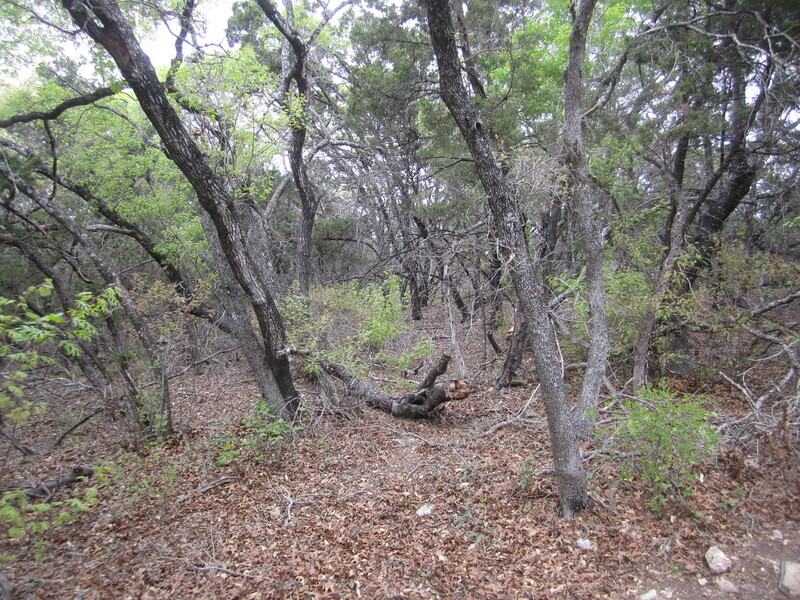 A web search or two later, and I found two likely spots north and west of the city in Government Canyon State Natural Area and Eisenhower Park. I didn’t know exactly what to expect, but the temperature was only in the high sixties, and no rain was expected, so I needed little gear. I dropped our pup off at doggie day care (Lucy’s) as I wasn’t sure if it’d be acceptable to have him on these trails. Jackie likes to hike, but he loves time with his canine peers even more, so it was an easy choice. I had a slightly disastrous start to the outing. After taking an overly long route to the area courtesy of phone mapping, I arrived at the park only to find it was closed. It is only open Friday through Monday. Oh well. There went some gas. So I headed east to Eisenhower Park, a smaller park adjacent to an army base north of the city. As soon as I found the trails, I knew I wasn’t in Kansas anymore. Prickly pear cacti and immaculate signage lurked in strange corners. The map showed a collection of trails that could be connected. 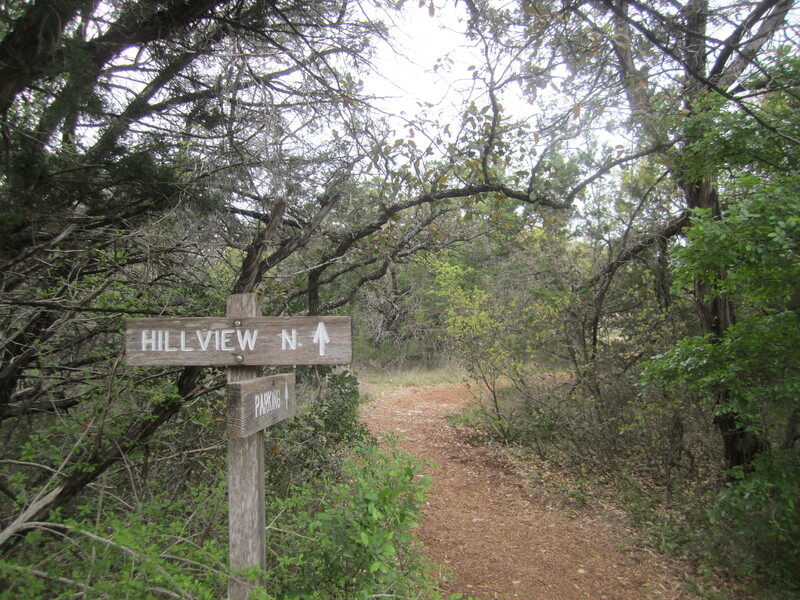 I set out to link up the Hillview, Yucca, Cedar Flats, and Red Oak Trails. Sound confusing? It wasn’t too bad. 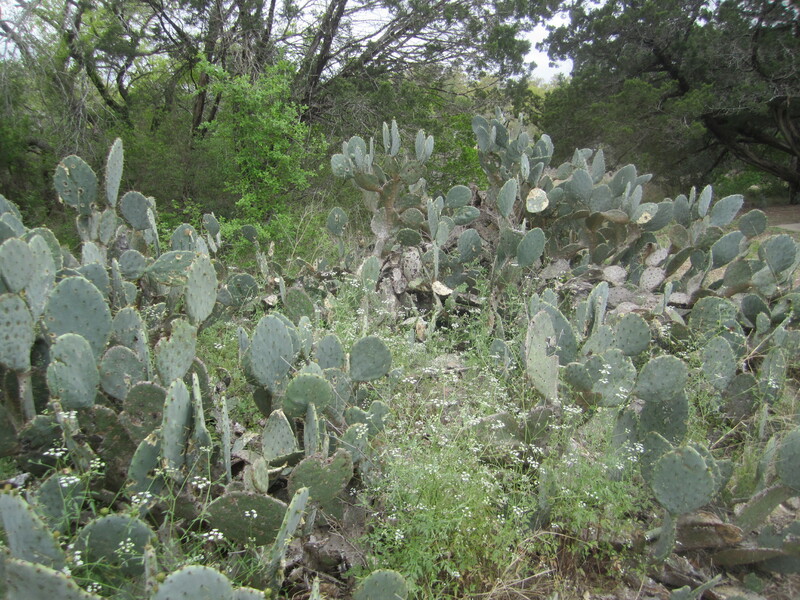 I just kept strolling along, enjoying a Texas Hill Country environment very different than the Cascadian climes to which I am so accustomed. I kept trying to figure out which tree was mesquite (don’t know) and what was that cool spikey plant (yucca) I also kept flashing on snippets of western films. Josey Wales, for example. I could see Clint riding through this terrain, looking cool as hell. 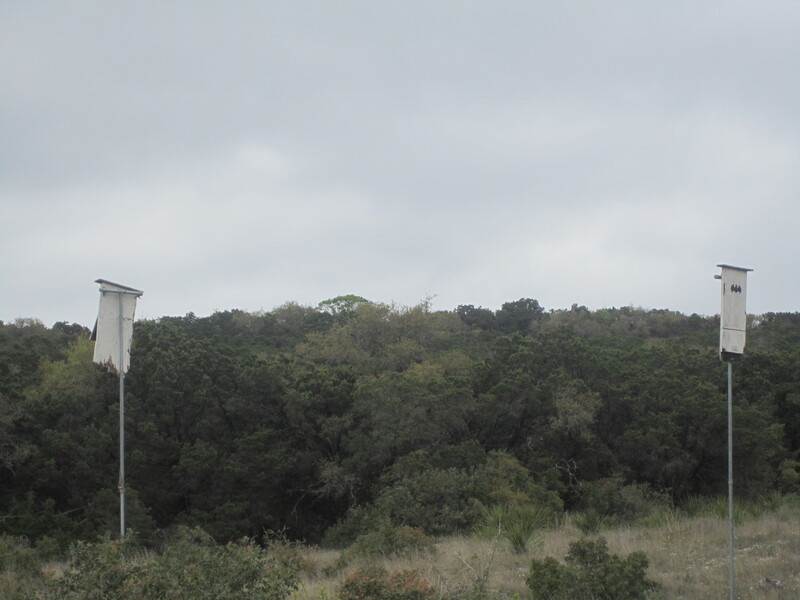 Then there were the bat houses built on poles in a clearing. That was unique. 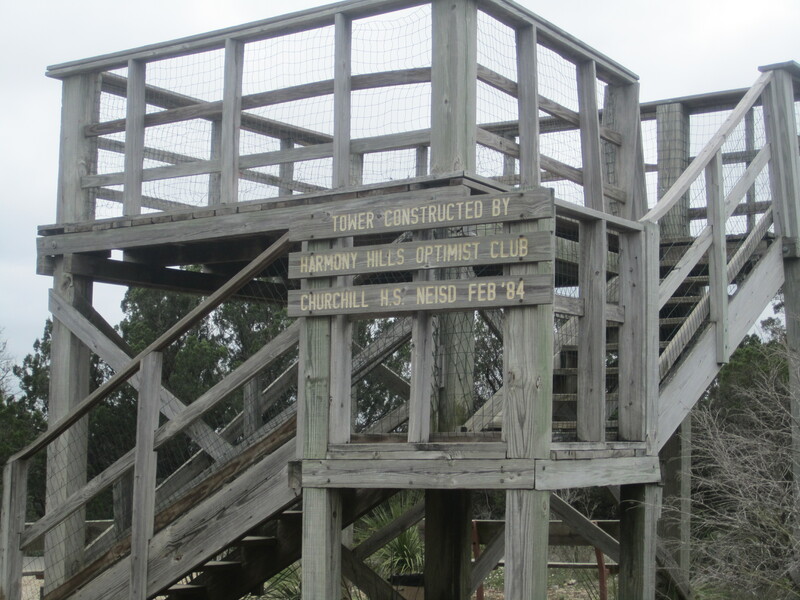 I continued to a high point where there was a an observation tower. I was slightly disappointed to find a parks worker able to drive all the way up on a paved path. Planes flying over every five minutes or so had already clued me in that this was not a wilderness experience. The view from the top was decent, if not amazing, but the best was yet to come. Dropping off the backside of the hills, the trail got decidedly rockier, and quieter. No more paved path. I opted for the Red Oak Trail as loop. The woods were lovely with more unique features. 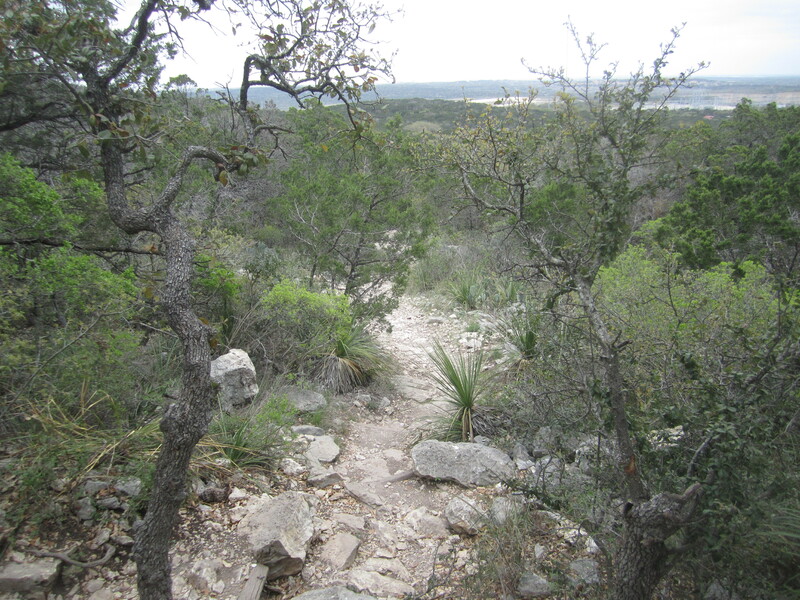 At one point the trail got fairly steep, and I actually had to be careful as I walked down some patches of limestone. Mostly I cruised along and enjoyed a peaceful hike. 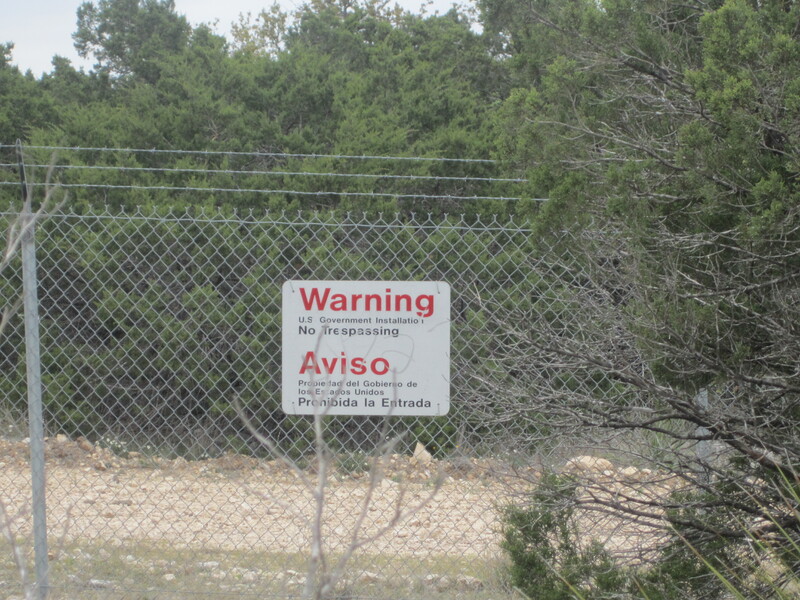 There was a lot of descending, but this was a loop, so guess what, I had to climb back up to the top of the ridge and rejoin the Hillview trail, where I got views again, and also spied the serious fence separating the park from the adjoining military base. After I started heading down again, I started passing other hikers. Some seemed very out of shape and ill prepared, but others seemed like they were ready for anything. Eisenhower Park certainly has a range of terrain and trail types. If I lived in the San Antonio area, I am sure I would visit it regularly. For now, this would have to do. All told, I hiked just over an hour, but I could have stretched it out to twice that time quite happily. 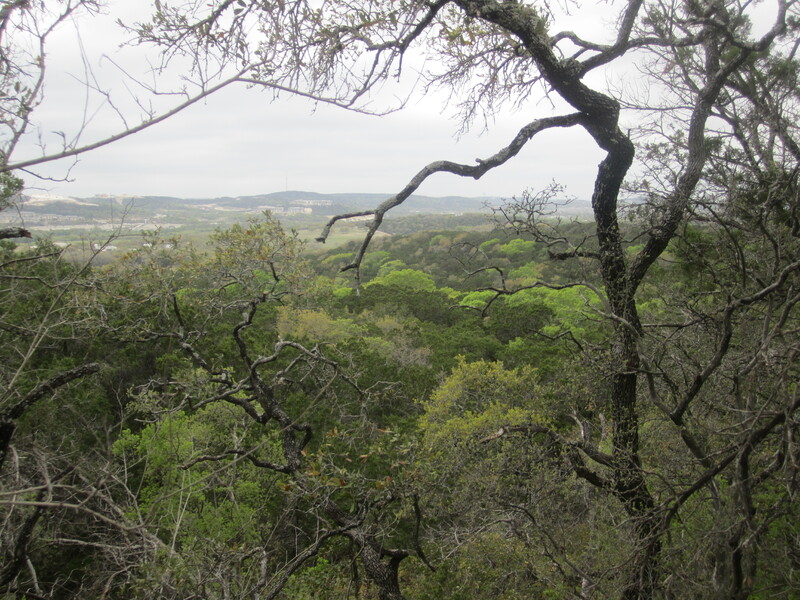 There were a number of different ecosystems, with wide open clearings, relatively dense deciduous woods, and rocky gullies. 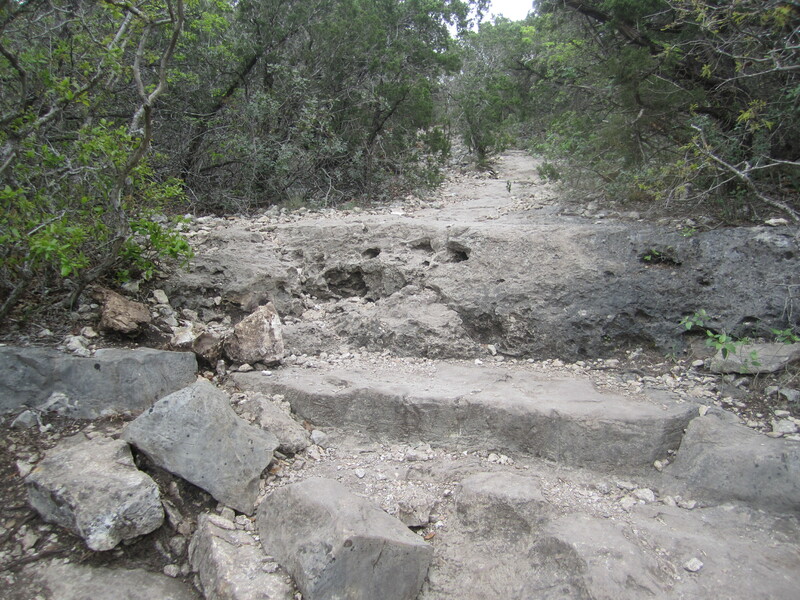 I’d recommend the area to any hiker who can deal with an occasional steep spot. If you aren’t ready for that, stay on the Cedar Flats trail. 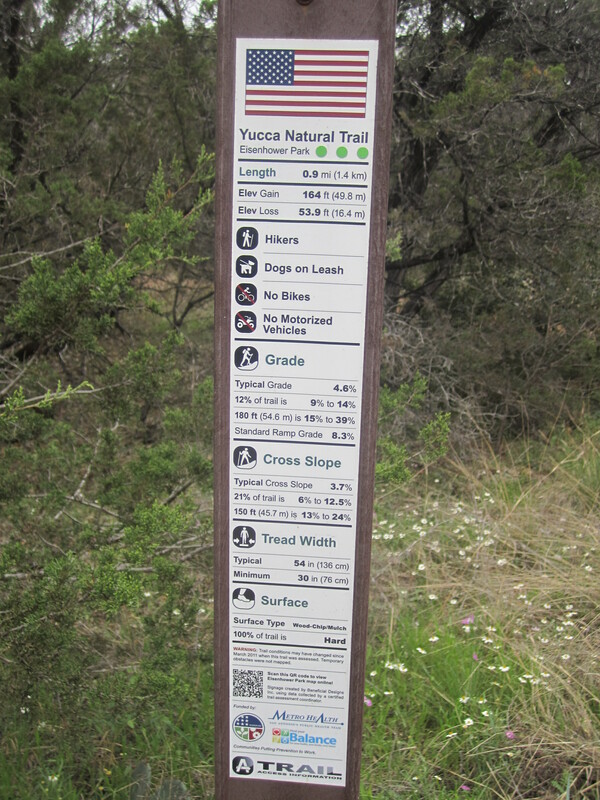 If you want more information, some of the signs give a ridiculous amount of info on the trails. Somebody has too much time on their hands, and it isn’t me. 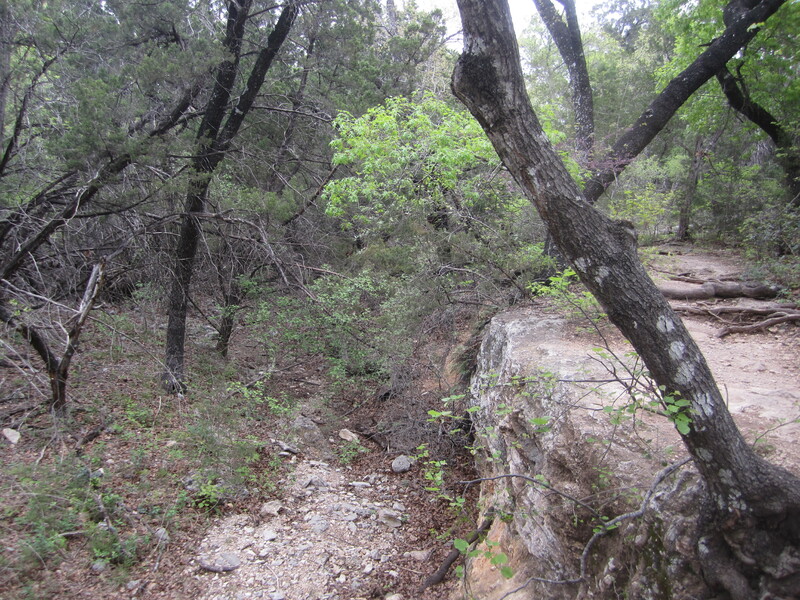 Hey, I’m probably just jealous that I hadn’t thought to analyze the trail’s average cross slope. Silly me. 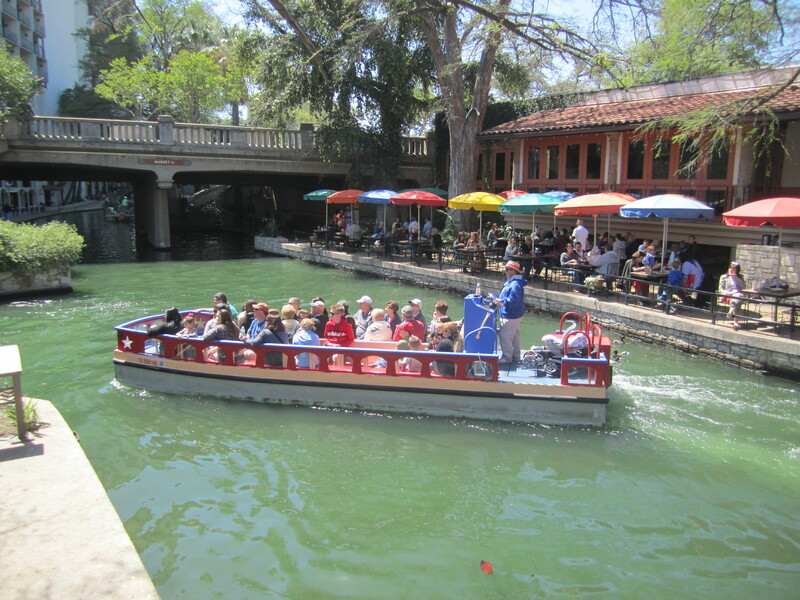 While not hiking, tourists can easily get some exercise taking in the sights of San Antonio. The famous Riverwalk is the aqueous centerpiece of one of the cooler downtowns I’ve seen. It is easy to walk from our hotel to many great restaurants, shops, and historic buildings, walking on paths besides the water, often crossing lovely stone bridges like the one above. There’s also a little place called the Alamo to explore, along with Hotel Menger, whose ice cream is so good, President Clinton had it shipped to Washington. Don’t worry, I got out for a real hike, so stay tuned.